I have a funny relationship with popcorn. I can go for long stretches without making it, during which time I almost forget about it completely. And then all of a sudden I have a craving for it, pull the container of forgotten kernels from the back of the kitchen cabinet, pop a batch on the stovetop in a neutral oil, season it with sea salt and feel like a genius for rediscovering the best snack ever. Then I’m on a popcorn kick and can’t wait to make it again. But I get sort of bored with it easily. And then I feel the need to play around with different flavors. Sometimes, they’re dead simple upgrades like tossing it with a great herbed salt, which is a route I recommend. Sometimes, they just don’t work. I was convinced that a curry-coconut oil popcorn would be delicious and then ended up with something inedibly spicy and completely unbalanced (probably on account of my unfamiliarity with my new curry powder blend). I might tinker with that combination again, eventually, but not for a while. For now, I’m all in with this cacio e pepe popcorn. It’s inspired by one of my favorite pasta dishes, a simple Roman spaghetti (or similar long skinny pasta) tossed with olive oil, Pecorino Romano, and freshly cracked black pepper, emulsified into a sauce with a little of the starchy pasta water. This cacio e pepe popcorn uses the same flavor profile and is even easier than the pasta dish. It’s the sort of recipe that doesn’t really need precise amounts and can easily be adjusted to your taste. But you do need the three base ingredients: olive oil, Pecorino Romano, and black pepper. There’s some debate about whether or not it’s safe to cook popcorn in olive oil because of olive oil’s relatively low smoke point. I’m convinced it’s as safe as cooking with any other oil, and I like the flavor it adds here. You don’t need to spring for the fanciest oil ever for this because cooking tempers some of the flavor (but I do recommend looking for olive oil that’s labeled with a harvest date, which is one of the best ways to know it’s fresh). 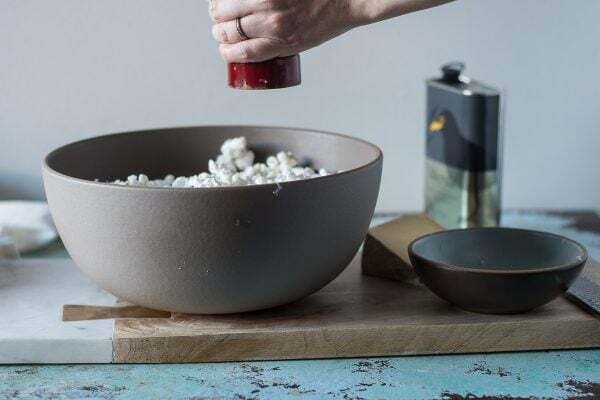 You’ll want to use a nice Pecorino Romano, which is a hard sheep’s milk cheese with a lovely sharp salty flavor, and you’ll want it grated very finely on a microplane (or similar fine grater) so that it’s small enough to stick to the popcorn. You’ll also want to grind your own pepper (mostly I think there’s no point in using the pre-ground stuff). I’m partial to my Peugeot pepper mill, but any decent pepper mill will do. And really, that’s about it. 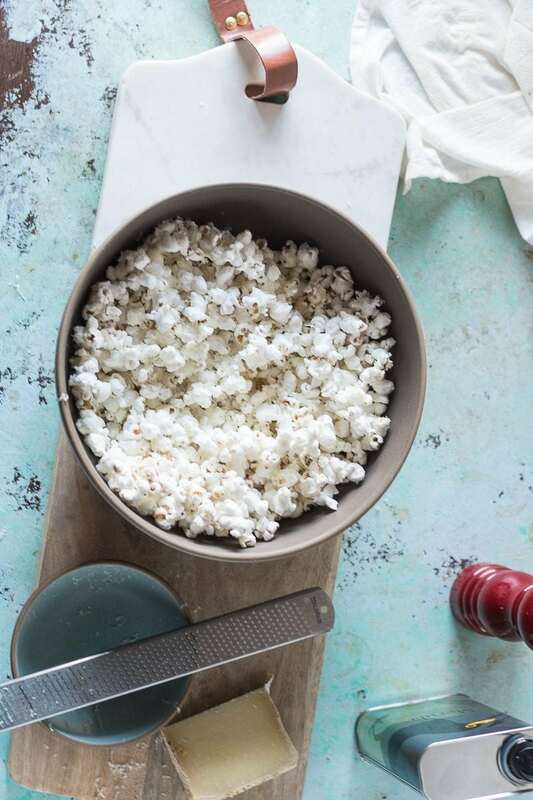 It’s an easy peasy way to turn popcorn into a sophisticated happy hour snack, the kind of thing that feels like a worthy match for a glass of wine, but not so fancy you can’t eat it by the handful. 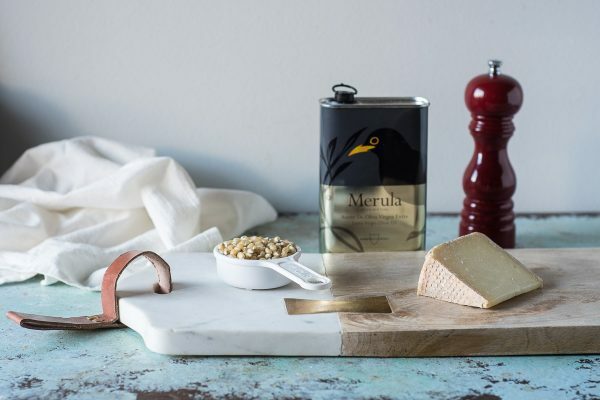 This popcorn is inspired by the traditional Roman pasta dish, cacio e pepe, which is a made with Pecorino Romano, a hard sheep's milk cheese, and black pepper. 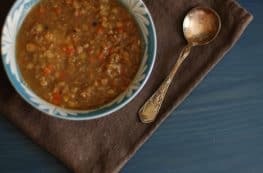 This is the kind of recipe that's incredibly flexible and you can easily adjust the amounts to your taste. I do recommend grating the cheese very finely on a microplane so it sticks to the popcorn and at least some it can melt. If you have trouble finding Pecorino Romano you can substitute Parmigiano Reggiano (which has a similar texture and will still be delicious). Make sure you grate the cheese before you start popping the popcorn. Then you can add it while the popcorn is still fresh. 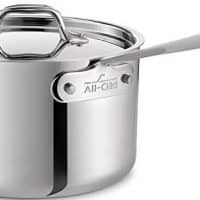 Add the olive oil and three popcorn kernels to a large heavy bottomed sauce pan with a tight fitting lid (I use this one). Cover and heat over medium-high heat until all three popcorn kernels pop. Remove from the heat and add the rest of the popcorn kernels. Cover, and swirl around in the pan for about 30 seconds. Return to the heat and when the kernels start popping again lower the heat to medium. Occasionally shake the saucepan to redistribute the kernels. When the popping slows to a stop, remove from the heat and immediately transfer to a bowl. Toss with the Pecorino Romano and a shower of black pepper and a pinch of salt. Taste and see if anything needs adjusting. Eat. 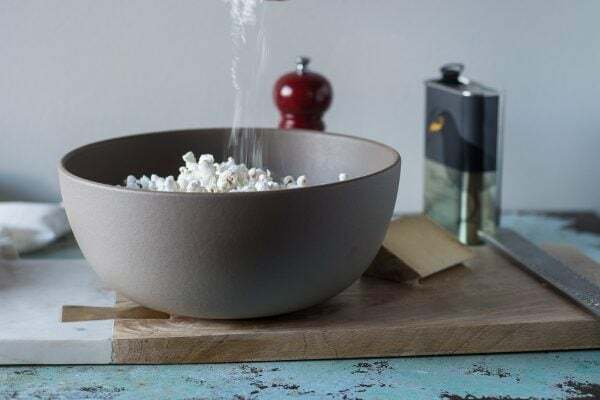 Cheese and popcorn always make a good pair! I’m slightly obsessed with popcorn, all the time. You’re so right that cheese popcorn is a classic for a reason! Now this looks amazing. I always chuckle when I see large tins of “gourmet” popcorn at the store. THIS is gourmet popcorn! Thanks, Kristina! I think it’s something special! Yum! I use olive oil 90% of the time! I love using it! I don’t think there is any problem with using it for popcorn! This sounds delicious! I’m a big popcorn fan! Thanks, Beth! I think the olive oil is great here and I agree that the concern some people have about cooking with it at higher heats is overblown (at least based on the science that I’ve read). I just bought a bag of blue popcorn kernels. I know what I’m going to make with that…. Ooh, blue popcorn kernels! Excellent! I would love to bag of this popcorn and going to give a makeover with addition little spice. Your recipe is really good. This is calling my name! 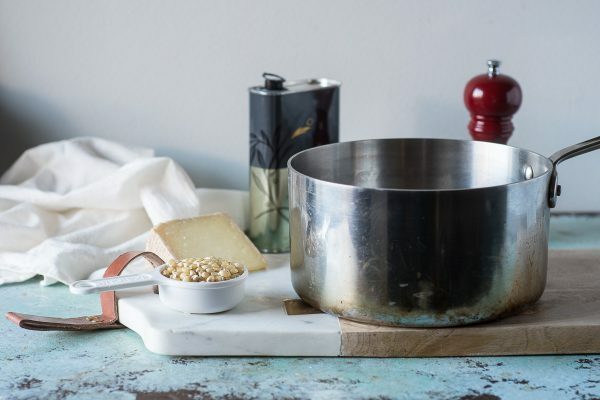 We love Pecorino Romano, and I can just imagine how good it is with popcorn! Thanks, Andrea! I think it’s great here!